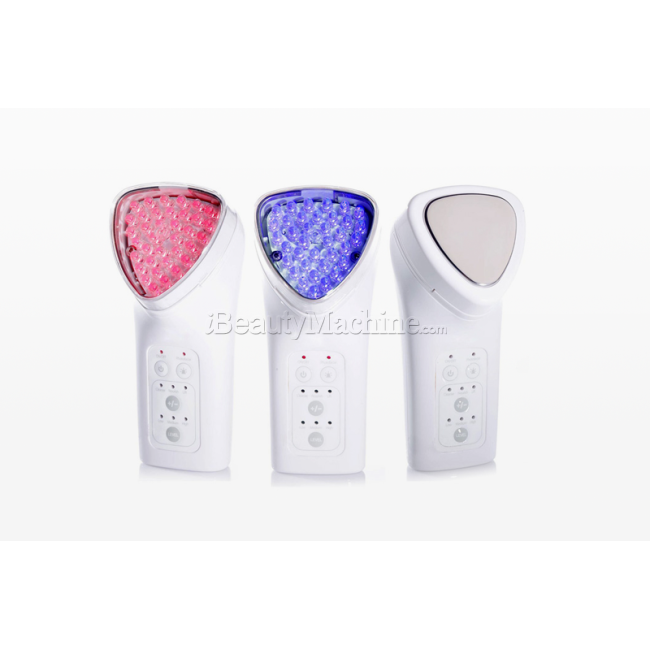 3 in 1 beauty system combines 3 advanced technology to become a complete skin rejuvenating system with 3 beneficial functions. 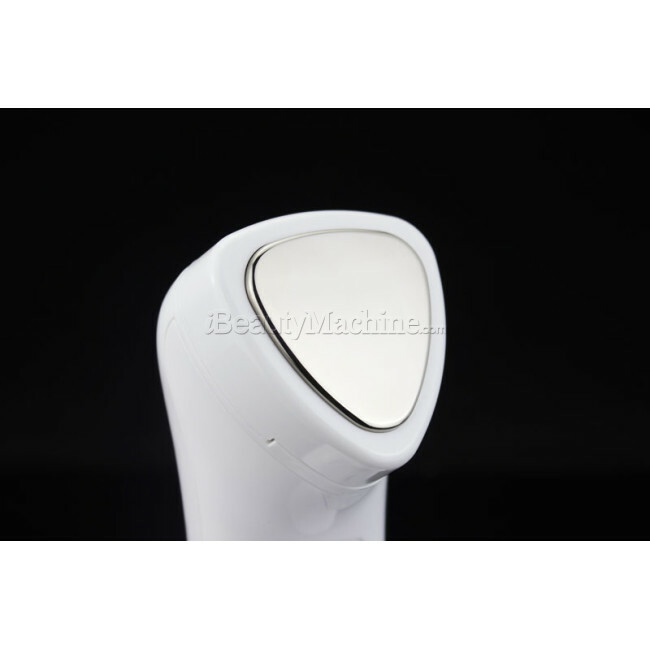 1 head for blue light therapy, 1 head for red light therapy and 1 head for ion treatment based on galvanic and microcurrent technology. Available for shorter treatment times. Does not react to salt water, chlorine, or sunlight etc. 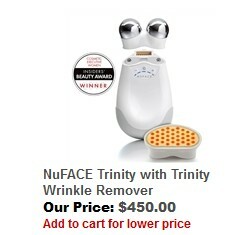 Fast, effectively treats fine lines and wrinkles with only 2 treatments a week, Recommended by Dermatologists. When skin is transmitted with ongoing positive (+) ions, negatively (-) charged cleansing gel would dissolve oil, dirt and impurities and would facilitate their transdermal export from skin. When skin is transmitted with ongoing negative (-) ions, application of ionized cosmetics product would facilitate transdermal of nutrients and active ingredients. 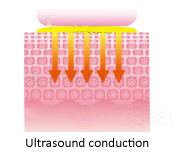 When skin is conducted with a steady pattern of interchanging positive (+) and negative (-) ions, a microcurrent is formed. 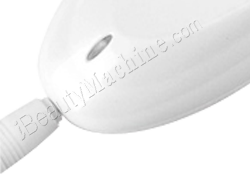 Microcurrent naturally tightens skin tissue and strengthens muscle; facial feature becomes significantly toned and lifted. Microcurrent also promotes blood circulation which facilitates cellular turnover for a healthy and youthful skin in the long run. 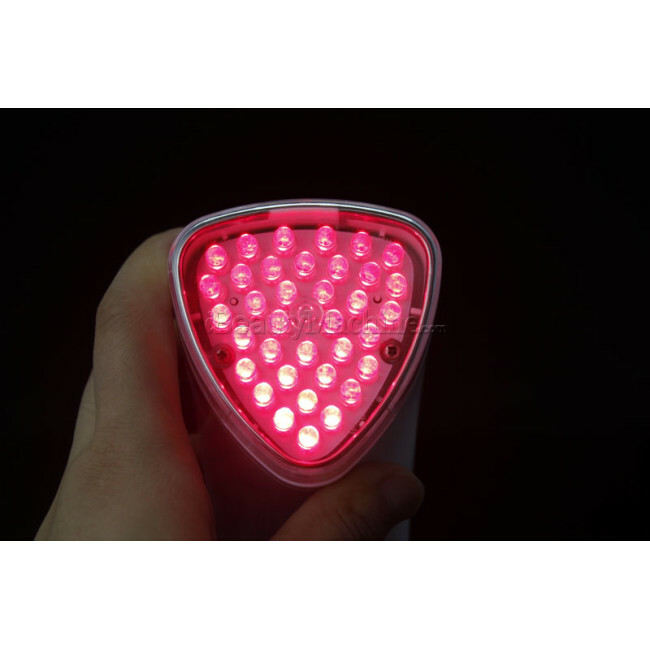 Red light technology has been used by dermatologists and skincare professional for its rejuvenating benefits for many years. Specific wavelengths of red light (660nm) are proven to boost overall cellular energy, increasing our body’s natural production of collagen and elastin and increasing microcirculation. 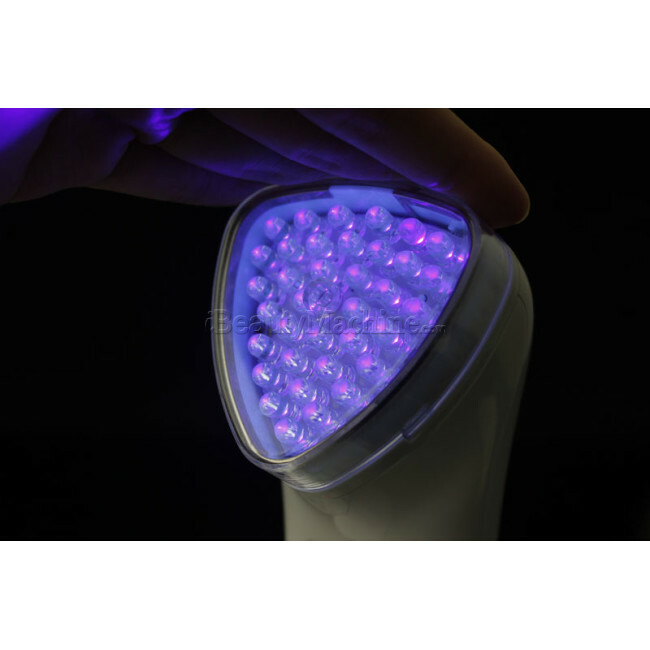 The photonfacial blue light therapy emits non-UV blue lights in wavelengths of 405-420nm Treat your skin with LED blue light each day for a rapid improvement of P.Acnes, follow With a LED red light treatment to facilitate healing and cell regrowth. 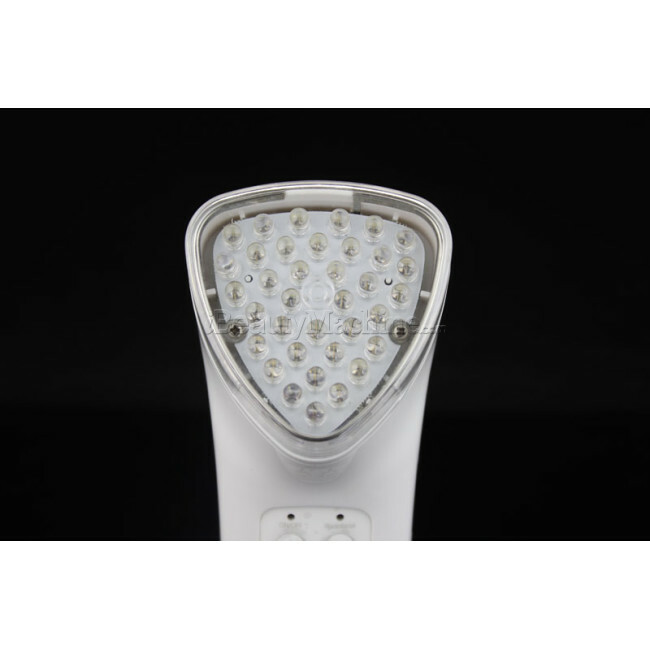 The blue light penetrating about 0.5mm has the function of calming and against skin rashes; suitable for the skin which is sensitive, oily and with skin rashes. 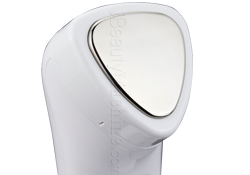 It can adjust skin sebum secretion; effectively get rid of acne and whelk to reach the aim of beautification. 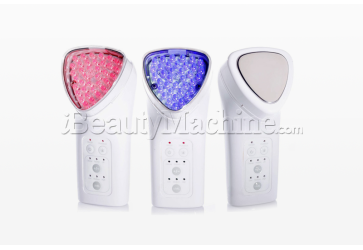 Besides, the blue light can astringe and tighten the loosened skin. 1. Red light good for blood circulation, make collagen fiber and elasticity fiber of the deep department reconfigure and resume elasticity at the same time. 2. 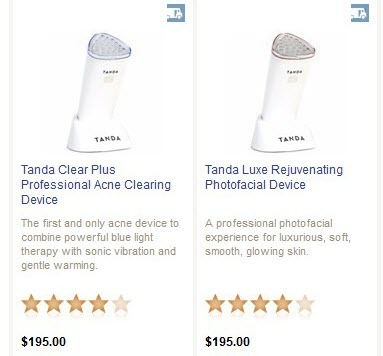 Blue light good for acne & blemishes and produce enough collagen, make the cell recombination. 1. What is light therapy? 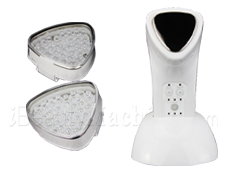 Light therapy is the application of light energy for therapeutic benefits. It is a proven technology that has been used in clinics for rehabilitation and aesthetic applications for over 35 years. 2. Are there any harmful side effects? There are no known harmful side effects of light therapy. Thousands of scientific studies have proven this technology to be a safe and highly effective way to treat a variety of conditions. It is recommended to do a light sensitive test as outlined in the user manual before use to make sure you are not sensitive to light. 3. Can I use my normal creams and lotions? 4. Can it treat through makeup or clothing? No. Laser and light devices cannot penetrate clothing sufficiently to provide an effective treatment. For best results cleanse your skin before treatment. 5. Is there any UV danger when using the device? Our lights won't darken your skin! We only use lights with wavelengths 405-420nm (blue) and 630-660nm (red) which DO NOT resemble any UV rays with wavelengths 200-400nm. And the lights do not pose harm to human eyes! 6. 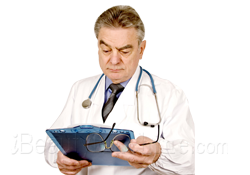 Is there a maximum amount of treatment time per day? It is recommended to use once a day for the best results, however there is no maximum on the amount of treatment time per day and no harm in over treating. the mechine can use plain water or any serum ? Hi Farrah, Thanks for your inquiry. We'd like to suggest you add some kind of serums into pure water. Of course, you can use plain water, but the result may not as good as what we suggested. This machine gives off a very irritating eeeEee noise which can be heard only by the one being treated. Is there a problem with this machine ? Why is it so? Dear Dubois, Thanks for your inquiry. 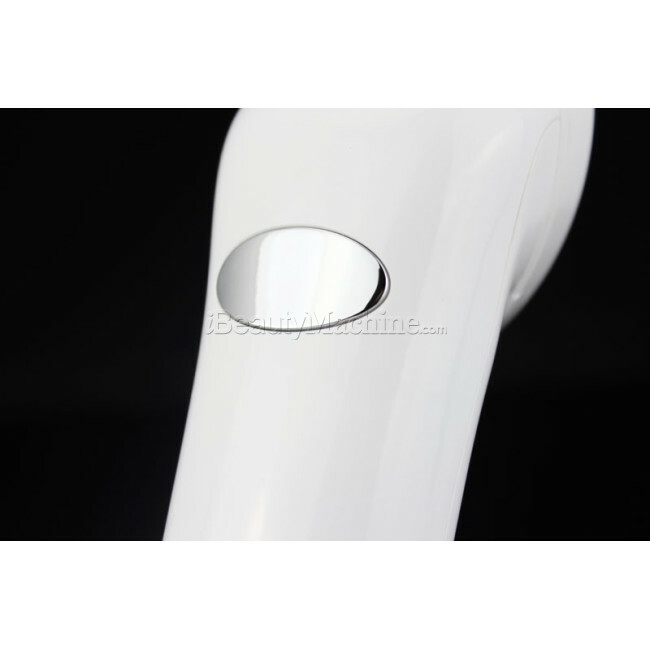 We do have ISO, CE, ROHS etc for our micro needling pen, you can rest assured about it. Can you use this on your eyelids for hooded/saggy skin on upper eyelids? Hi Liuba, For the fillers, it has syringe for injection. But if you want to use comfort-in for needle free injection, it's also OK. When will this be restocked?! Hi Nicole, Thanks for your inquiry. To be honest, I don't think it's necessary to buy a cable from us because the shipping cost is very expensive. 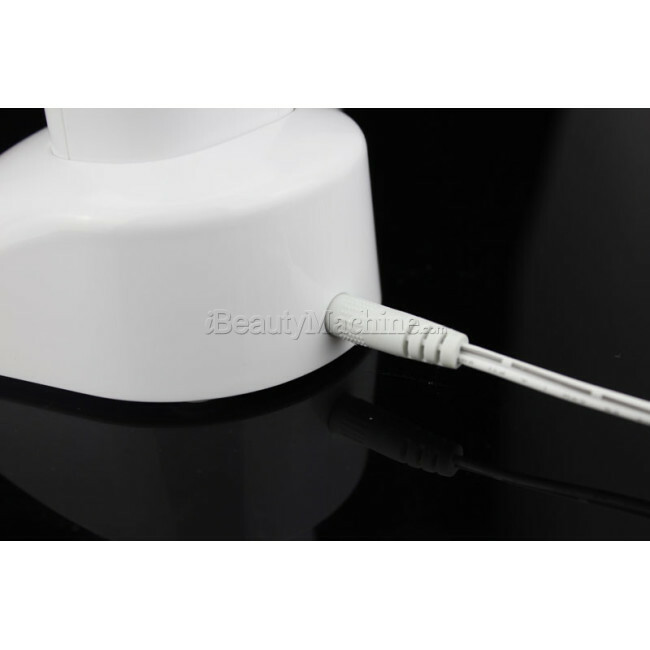 the cable is same as Android Phone, so you can use the phone cable to charge the iSlim. are the needles disposable after each use? how many does it come with and how much are resplacements of the 12 and 36 refills? Our factory has stopped manufacturering this machine since long time ago, the minimum order quantity to restart production is 10pcs. is the q 10 cream to be used with a konmison H-020 RF Face&body mashine it has vac and is stated from company to use specific cream or gel but they can not send it due to ,product cant go through customs but using the wrong product can possible clog machine and brake it.so i am trying to find a product that will work with this particular machine. *so multifunctional device, the package is good, i bought it for my friend, i leave an message when place the order, so pack the product with the Gift Paper, so nice seller. thanks very much. *i would like to order another microcurrent device PROtoner, but it is out of stock, so i order this, also with photon. the package is good. i use it for storage. *Comparable to Professional Spa machines. Really love the ability to take it mobile! Not as many settings as most machines, but it does what it's supposed to do. Love this and thanks for the free gift. *I love, love this product, I recommend it, thanks for the gift. *Really love this device. this is the third time that i bought from here, very great customer service. *I love this product! My skin looks so much better than it did. I have really noticed that my skin has tightened up and my complexion has a much nicer appearance. my pores have even gotten a little smaller. I would definitely recommend purchasing this. *I have been using them daily and have already noticed a difference in the size of my pores. I am hoping that after using them for a month or so they will generate the collagen production that they claim to but so far I am pleased with the product. *This item is well made, sold at a great price, easy transaction and timely arrival. I recommend this seller and product. *love it!! Works as expected! *I have had this machine for a month and use it 3 times a week. I'm a 46 year old guy and my skin is now flawless. It's plumped up my nose to mouth lines and skin is smooth and clear. *I've use it a couple of times and so far it has been more then I've expected; good size and easy to use. *Excellent product! Third time I buy and certainly not the last one. *Definitely love this hi-tech product! Just spent 15-20 minutes every time (do this 2-3 times per week) you will see the result. 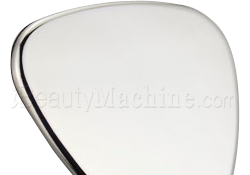 My skin becomes more smooth and glow with noticeable smaller pores. It works from 100V-240V, no more adaptor, that's a plus. *Unbelievable value! Speedy delivery. Comes in a beautiful case for storage. 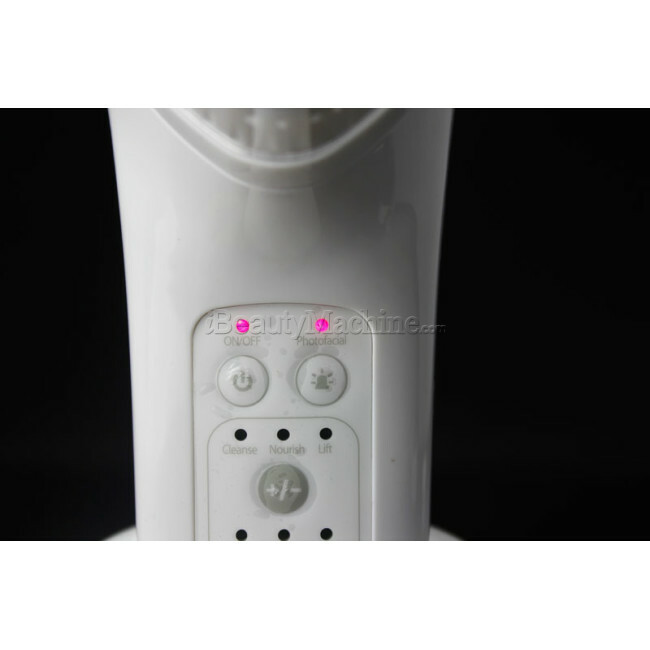 *I have another galvanic spa and I bought this one because it has adjustable setting. I also purchased this spa device because it can be charged rather than using batteries.